The AD(N&SW)&R had a right hotchpotch of rolling stock, mostly bought second or third hand. 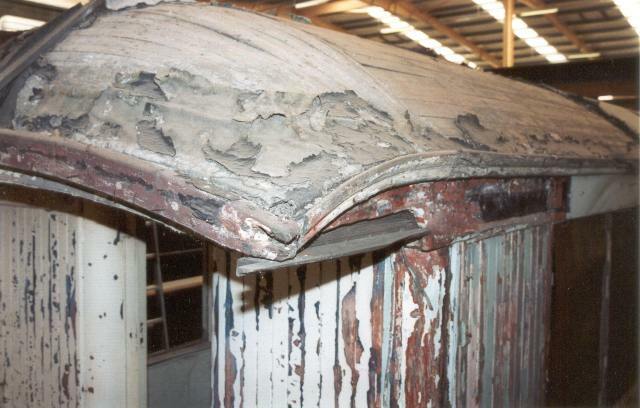 Surprisingly, one of the coaches has survived and is currently stored at the Collections Centre, Nantgarw. The staff at Nantgarw were very helpful and I was able to spend a day there in August 2004 when I measured and photographed the coach. Number 3 was originally built for the Barnum and Bailey circus trains which toured the Britain and Europe at the end of the 19th century. 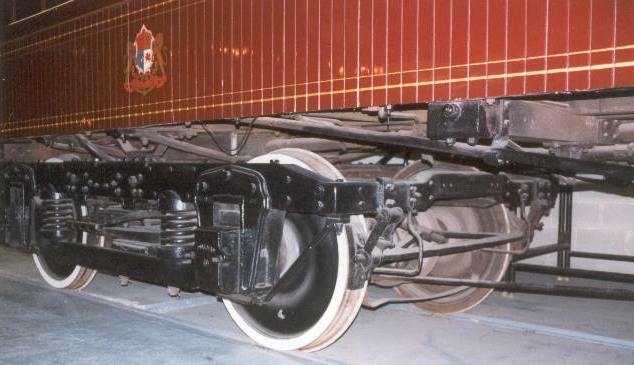 It was based on the current US practice of the day, scaled down to fit the British loading gauge. The A(N&SW)D&R bought three of the redundant coaches. 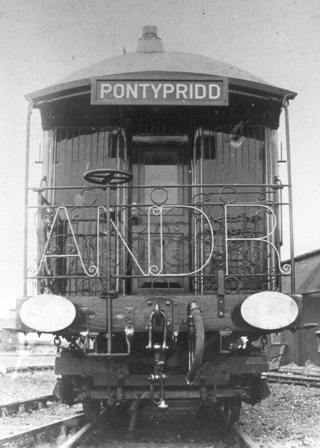 The verdandas and windows were substantially modified before being used on the A(N&SW)D&R's only passenger service from Machen to Pontypridd, via Penrhos. One particular question I have not been able to resolve is what colour did the A(N&SW)D&R paint it? 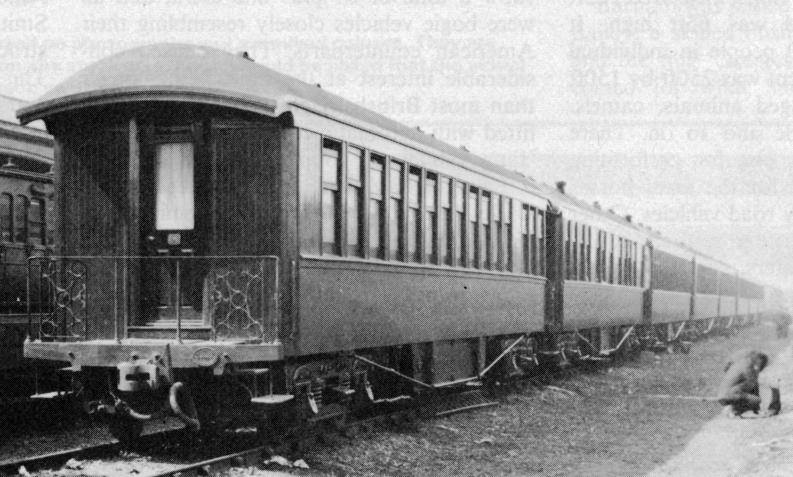 Slinn in 'Great Western Way' states that A(N&SW)D&R railmotor number 1 "appears to have been painted a dark brown". The peeling paint on the coach at Nantgarw clearly reveals that at least one coat of paint was brown but the question is which shade? The vertical planked areas in this photo would not have been painted brown by the GWR, they would have been painted cream. 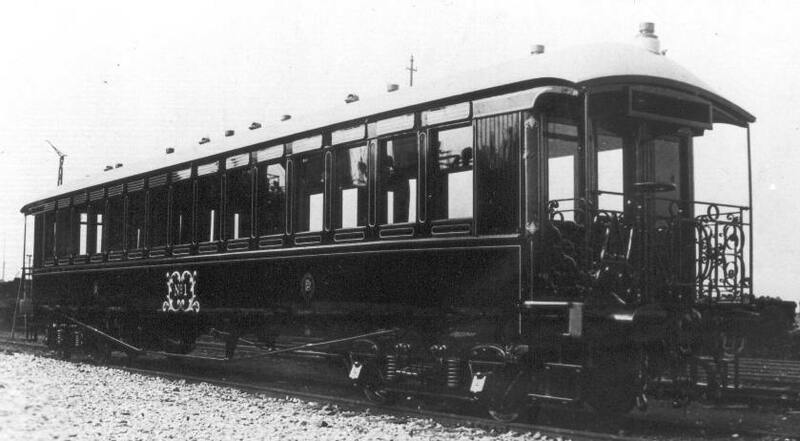 Coincidentally, the Pullman coach at York which was built in a similar style, with similar bogies and underframe, is also painted a similar shade of brown. However, this appears to be a much redder shade than the shade I recall as official Pullman Brown. John Lewis is of the opinion that this coach is in its original livery, SECR lake. Certainly when compared with th eHornby Pullman coaches it is redder.